GKhair Taming System with Juvenix, the number one hair smoothing treatment in the world and the recipient of a host of coveted awards including “Best Smoothing Treatment” by Harper’s Bazaar, is the most revolutionary hair development within the last 50 years, and is available at Hair Currents Salon in New Smyrna Beach. GKhair is the first and only company to provide salon clients the benefits of Juvenix. Juvenix is Keratin created from a special blend of proteins and peptides. This unique blend not only smooths hair, it penetrates each hair shaft to uniquely restore, protect and condition hair. And GKhair Smoothing Treatments work on all types of hair. There is a “Resistant Formula” for courser, dryer, more unmanageable hair. There is what GK calls the “Best” which, unlike other smoothing treatments, requires zero wait time for wetting your hair! “Curly” leaves the body and wave or curl of hair without the frizz. “Italian Style” lasts up to five months! And, finally, there is a formulation especially for blondes to eliminate brassy tones and breakage. 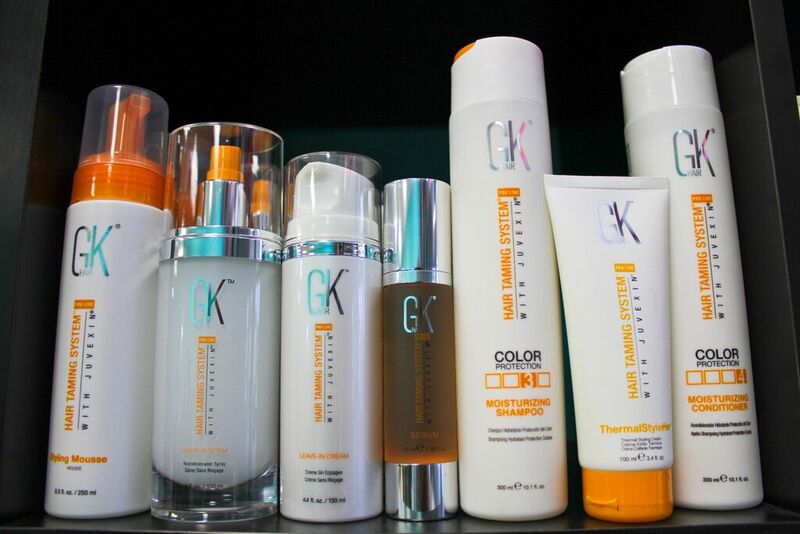 GKhair products, which are exceptional, unique and designed to work as a complete system, offer everything from specially formulated shampoos and conditioners to superior, one-of-a-kind salon developers which provide ideal viscosity and completely customizable formulas that can lift up to four levels. GKhair Smoothing Treatments provide so many remarkable benefits…Tame and manage. Rejuvenate while straitening. Eliminate stiffness for exceptionally soft hair. Reduce styling time. Say goodbye to frizz. Repair damage and deliver shine. Restore and protect against harmful UV rays, pollutants, chemical treatments and the ruthlessness of frequent shampooing and styling. Wouldn’t it be wonderful if everything in your life was smooth – including your hair? Call Hair Currents, one of New Smyrna Beach’s finest salons, today at 386-424-0822 to keep things smooth with GK Smoothing Treatments and hair care products.